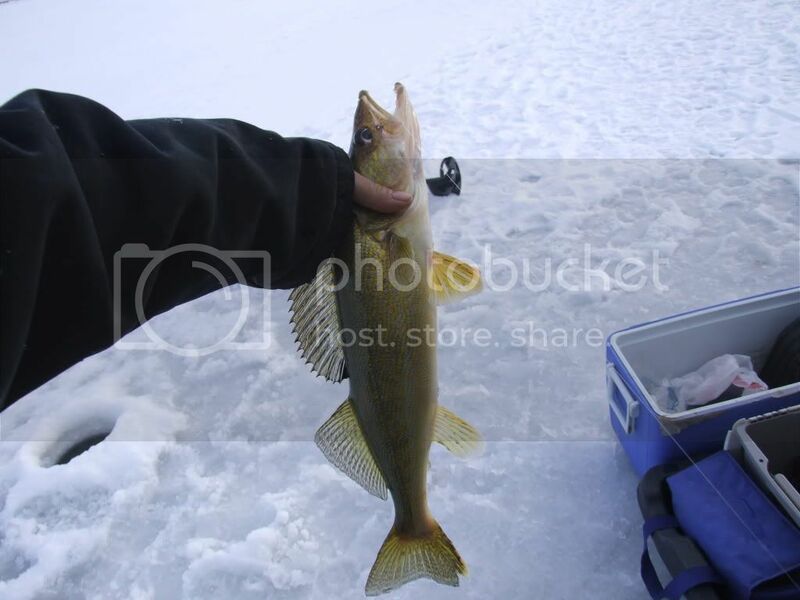 Got together with some old friends, and a couple new ones yesterday on the ice, day started pretty good, lost 2 walleye at the ice, and landed a couple, 2 1/2 and 3 pounds. One came in so fast for the bait it was just a blur, Ive never seen one move that fast. one of the new guys, first time pike fishing, got his rod and reel set up and spooled with brand new ice braid, and while standing there talking took his eyes off his rig. Guess what, live and learn , thats the reason I always use an ice anchor with my rodholders. 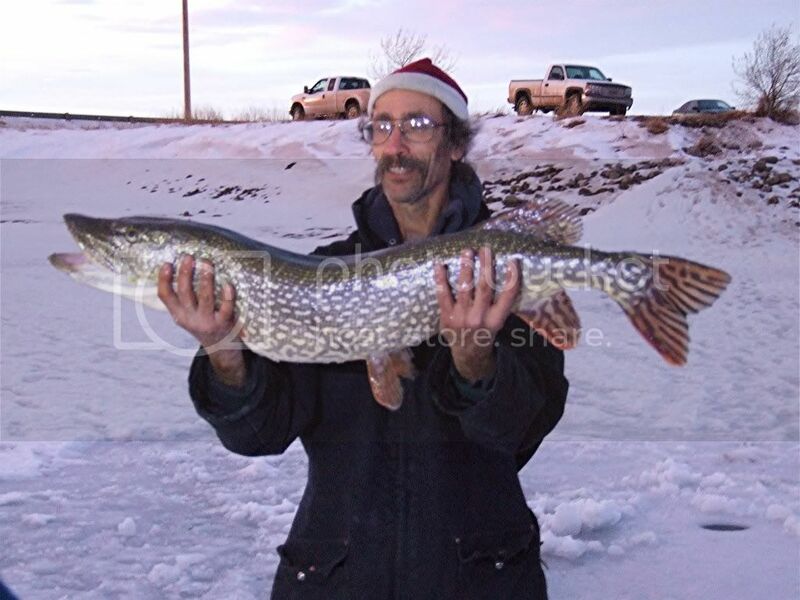 Drilled a ring of holes all around him, but couldnt find anything but his bell on the bottom, which didnt make any noise as it went down the hole of course he did manage to ice a keeper size pike, 5 pounds plus, his personal best, and a nice fat little walleye so it wasnt a total loss for him. most of the rest packed up and headed back to the big city, just 4 of us left, and then my outside rod got a hit. first fish on my old mooching reel, not a bad way to break it in. My second 17 pounder this season! Looks like your getting a good jump on it this winter Wayne,, well done. Very nice! Congrats! How much ice are you seeing out there? there was about 7 or 8 inches. most of the top crappy white ice was gone, but got a bit of flood ice now. still good to walk on, but the truck stays in the parking lot for now. starting to wonder if we will be driving on at all at this rate!